Interested in faith and science? Do you wonder about the ethics of the latest advances in the biological sciences? What does Christianity have to say about genetic manipulation? If you’re intrigued by these kinds of questions, come join members of the CCC’s Biotechnology Reference Group (BRG) on Saturday November 1 for a workshop investigating questions about faith, ethics and biotechnology. Based on a curriculum prepared by the BRG, this workshop will also enable you to start discussing these important issues in your own congregation. Date: November 1st, 2014, 9:30 am to 2:00 pm. Copyright © 2014 The Canadian Council of Churches, All rights reserved. Government leaders from across the globe will be meeting in New York City on September 23 for a one-day United Nations climate summit. The People’s Climate March precedes it on September 21 and will send out a massive, united call for climate justice and a strong climate treaty. This would be a good time to check out ClimateFast, which KAIROS has endorsed, as it counts down to this year’s fast on Parliament Hill (September 28 to October 2) and extends an invitation to everyone to join in fasting on the first day of each month. Citizens for Public Justice, in collaboration with the Canadian Council of Churches, has created resources for faith communities in Canada specifically related to the UN summit and the People’s Climate March. These include a bible study, bulletin inserts, an infographic on the moral implications of climate change, sermon notes, hymns for Creation, prayers of intercession and activities for youth and young adults, all of which would be particularly appropriate for worship services on Sunday, September 21. Green Faith, an interfaith coalition based in New Jersey, is offering resources and an invitation to faith communities to become Climate March Faith Communities. Stay tuned for another analytical report following the New York summit. KAIROS also has a new Watershed Discipleship workshop hot off the press that includes biblical and personal reflection, consideration of the issues facing your watershed, and the opportunity to connect those issues with others across Canada and around the world. With climate change affecting every watershed in some way, this could be a timely opportunity to organize a workshop in your area. If you would like to host a Watershed Discipleship workshop, retreat, or train-the-trainer event and support a growing network, please contact Sara Stratton, KAIROS Members Relations and Campaigns Coordinator at sstratton@kairoscanada.org. If you would like to go to New York for the march and are in the Toronto, Ottawa or Montreal area, buses are being organized. As Archbishop Desmond Tutu reminded participants at the So Long as the Rivers Flow conference in Fort McMurray earlier this year, we are all connected by the urgent need to protect our planet from catastrophic climate change, the effects of which have been felt for some time by poor and vulnerable communities in the Global South. KAIROS invites and encourages you to join with others to participate in these efforts in whatever way you can. If you have questions or need more information, please contact John Dillon, KAIROS Ecological Economy Program Coordinator at jdillon@kairoscanada.org. Click here to make a donation to KAIROS today! Are you going to the Peoples Social Forum in August in Ottawa, on Algonquin territory, August 21-24? If you haven’t heard about it yet, check out all the details about location, time, schedule (to be published this week), workshops and much more here: www.peoplessocialforum.org/ or on FACEBOOK. The Social forum will be four days packed with over 400 workshops, many keynote speakers, a march and popular assemblies on themes such as Water, Mining Justice, Climate justice, Pipelines, Indigenous Solidarity, and more. Polaris and its partners will be involved in many other activities at the Peoples Social Forum and we hope that you can make it out with friends and family. In response to the violence and military activity in Israel and Palestine, KAIROS: Canadian Ecumenical Justice Initiatives continues to seek a just and lasting peace between Israelis and Palestinians. The escalation of violence will not achieve either peace or security for Israel and Palestine. Such a peace requires an end to Israel’s illegal occupation of the Palestinian Territories and related actions such as the blockade of Gaza. Acts against civilians have occurred on both sides. Hundreds of rocket attacks from Gaza into Israel are being met with a disproportionate military response, including missiles, offshore shelling, and the raising of reserves to facilitate a possible ground offensive. This occurs within the context of Israel’s blockade of Gaza, now in its eighth year, that has denied Gaza’s population mobility, access to markets, and employment. The United Nations Relief and Works Agency (UNRWA) in Gaza observes that the majority of the population cannot meet basic needs without humanitarian assistance, and the number of Palestinians depending on UNRWA for food aid has increased from 80,000 in 2000 to over 830,000 currently. According to a July 15 update from UNRWA, 174 Palestinians had been killed, including 32 children. 1152 had been injured. The destruction of hundreds of houses, and warnings of pending destruction from the Israeli Defence Force (IDF), have resulted in 17000 people fleeing their homes and seeking shelter with UNRWA. At this time, no Israeli deaths have been reported, but that does not detract from the fear, destruction, and potential for death that the rocket attacks invoke. We condemn the use of violence. We mourn for all those who have been killed. We pray for healing of the wounded and afraid. This situation is untenable. We appeal to all involved in these attacks, from Israel and from Gaza, to live up to their obligation under international humanitarian law to protect civilian life, and to take up the ceasefire proposed by the majority of the international community. Both sides need to agree to a ceasefire and to address issues that are at the root of the conflict. This is a duty for all of us. May it be so. Given his background, what American Jewish leader Henry Siegman has to say about Israel’s founding in 1948 through the current assault on Gaza may surprise you. From 1978 to 1994, Siegman served as executive director of the American Jewish Congress, long described as one of the nation’s “big three” Jewish organizations along with the American Jewish Committee and the Anti-Defamation League. Born in Germany three years before the Nazis came to power in 1933, Siegman’s family eventually moved to the United States. His father was a leader of the European Zionist movement that pushed for the creation of a Jewish state. In New York, Siegman studied the religion and was ordained as an Orthodox rabbi by Yeshiva Torah Vodaas, later becoming head of the Synagogue Council of America. After his time at the American Jewish Congress, Siegman became a senior fellow at the Council on Foreign Relations. He now serves as president of the U.S./Middle East Project. In the first of our two-part interview, Siegman discusses the assault on Gaza, the myths surrounding Israel’s founding in 1948, and his own background as a German-Jewish refugee who fled Nazi occupation to later become a leading American Jewish voice and now vocal critic of Israel’s policies in the Occupied Territories. Winnipeg, 30 July 2014-Evangelical Lutheran Church in Canada (ELCIC) National Bishop Susan C. Johnson wrote to Prime Minister Stephen Harper and expressed her deep concern for the people of Mosul. In her letter, Bishop Johnson urged the Government of Canada “to call for an end to violence, intimidation and expulsion,” and provide humanitarian aid to those forced to flee as refugees. The text of the letter follows. I am writing to express my deep concern for the people of Mosul, who are living with intimidation and violence. In particular, I hear of Christians being targeted with threats and expelled from their homes and communities. I am also concerned about reports that the Islamic State in Iraq and al-Sham (ISIS) is destroying holy sites. This represents an atrocious and long-term violation of religious freedom. Patriarch Louis Raphael Sako, the Chaldean Catholic Patriarch of Baghdad, and Rev. Dr Olav Fykse Tveit, the General Secretary of the World Council of Churches, have called on Christians around the world to express their solidarity with those who are suffering. A report by Amnesty International indicates that violations of international humanitarian law are being carried out by all sides, including ISIS and Iraqi Government forces. The world seems to be in danger of ignoring this tragic situation. I urge the Government of Canada to take every opportunity to express its concern for the people of Mosul, and to call for an end to violence, intimidation and expulsion. And I encourage the Government of Canada to provide humanitarian aid to those forced to flee as refugees. My prayers are with all who suffer the effects of war, violence and expulsion. And my prayers are with you and the Government of Canada as you seek to promote peace, human rights and religious freedom around the world. The Basic Income Canada Network (BICN) is pleased to name Dr. Dennis Raphael, PhD, and Dr. Danielle Martin, B.Sc., MD, CCFP, MPP, as its newest appointees to The BIG Push Campaign Council. The council is a group of eminent Canadians whom BICN can turn to for advice. With the addition of Drs. Raphael and Martin, we hope to emphasize how basic income and the social determinants of health are intimately connected. Please watch for an innovative announcement about this connection in the coming few weeks. Dennis Raphael is a professor of Health Policy and Management at York University in Toronto. His many publications focus on the health effects of income inequality and poverty, the quality of life of communities and individuals, and the impact of government decisions on Canadians’ health and well-being. Dr. Raphael is author of Poverty in Canada: Implications for Health and Quality of Life and editor of Social Determinants of Health: Canadian Perspectives and Tackling Health Inequalities: Lessons from International Experiences. With Juha Mikkonen he wrote Social Determinants of Health: The Canadian Facts, which is a primer for the Canadian public that has been downloaded over 200,000 times. It is available at http://thecanadianfacts.org. Danielle Martin is vice-president of Medical Affairs and Health System Solutions at Women’s College Hospital in Toronto. She is a family physician in the Family Practice Health Centre at Women’s College Hospital and an assistant professor in the department of Family and Community Medicine and the department of Health Policy, Management and Evaluation at the University of Toronto. Her focus is on improving health at the system level as well as the individual level. Her clinical work has involved remote northern medicine, as well as a current focus on maternity care, and she is an active medical educator. Christian Peacemaker Teams: Three day vigil outside Israeli Consulate, Toronto – 9 AM, July 24, to afternoon July 26. Jews, Muslims, Christians and people of conscience have begun a continuous three day vigil outside the Israeli Consulate in Toronto. Beginning at 9 AM on Thursday, July 24, the vigil will continue until the afternoon of Saturday, July 26. Located at 180 Bloor St. across from the Royal Ontario Museum, the vigil condemns the indiscriminate targeting of civilians, the seven-year blockade of Gaza and Canadian complicity with Israeli occupation. The vigil is calling for the immediate cessation of the Israel’s assault on Gaza, now in its 16th day. Concerned that Israel may be in violation of international law, Amnesty International is calling for an international investigation into the conduct of Israeli forces. Israel has targeted hospitals and civilian homes. Christian Peacemaker Teams will be maintaining a continuous presence at the vigil. Please join us if you can and spread the word. Christian Peacemaker Teams (CPT) is an international, faith based violence reduction and human rights organization. CPT’s Aboriginal Justice Team (AJT) is mandated with undoing colonialism and supporting Indigenous communities seeking justice and defending their lands against corporate and government exploitation without community consent. Winnipeg, 17 July 2014–The Evangelical Lutheran Church in Canada (ELCIC) and Canadian Lutheran World Relief (CLWR) issue an appeal for prayers and financial support to treat Palestinian civilians injured as a results of hostilities between Palestinians in Gaza and Israel. 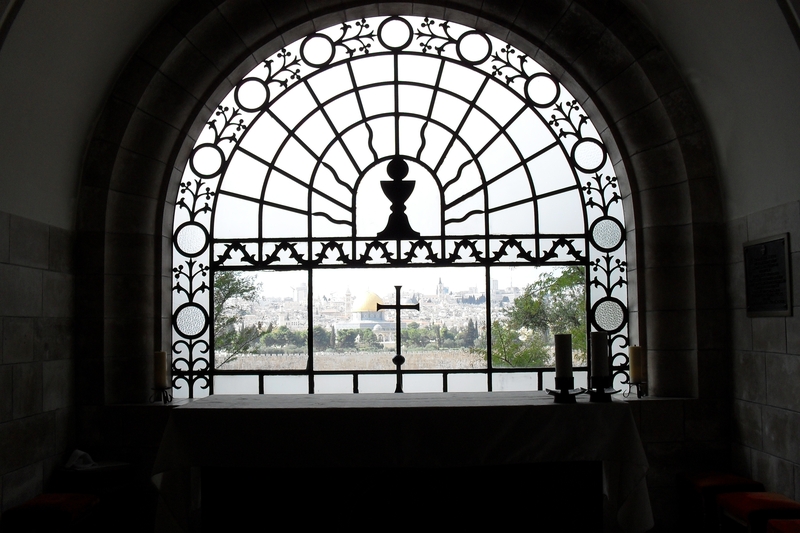 Donations will provide urgently needed medical supplies to civilians receiving treatment at the Augusta Victoria Hospital, a program of the Lutheran World Federation in East Jerusalem. “Hospitals in Gaza are under great pressure as they suffer from an acute shortage of essential drugs, medical supplies and fuel to provide power,” said CLWR Executive Director Robert Granke. “The Palestinian health sector is relying heavily on the services of Augusta Victoria Hospital on the Mount of Olives,” he added. Lutherans are encouraged to participate in the appeal through prayer and financial support. 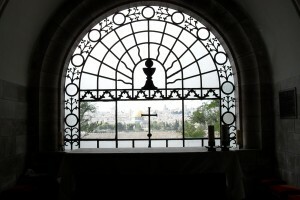 Remember the people who live in the Holy Land and all those who yearn for peace in your prayers, especially on the 24th of every month (a date set aside for a regular global ecumenical call to prayer initiated by ACT Alliance), until a just and lasting negotiated resolution to the Palestinian-Israeli conflict occurs. Please visit actpalestineforum.org/vigil/ to sign up and see worship resources. 1. By making a designated offering donation through any ELCIC congregation. 2. By giving online through CLWR (http://clwr.donorshops.com/product/F261499/emergencymedicalcareforgazacivilians.php). 3. By calling CLWR at 1.800.661.2597 (locally at 204.694.5602) to donate by credit card. The Evangelical Lutheran Church in Canada is Canada’s largest Lutheran denomination with 145,376 baptized members in 594 congregations. It is a member of the Lutheran World Federation, the Canadian Council of Churches and the World Council of Churches. Material provided through ELCIC Information is intended for reproduction and redistribution by recipients in whatever manner they may find useful.